The rock & roll era began in 1955, but truly exploded across the world the following year, taking over the charts in 1956. Elvis Presley dominated, of course, but Gene Vincent and His Blue Caps chose a helluva way to make a debut, releasing one of the defining records of the era — a small, thin, circular piece of vinyl that proved to be one of the cornerstones upon which the house of rock was built. 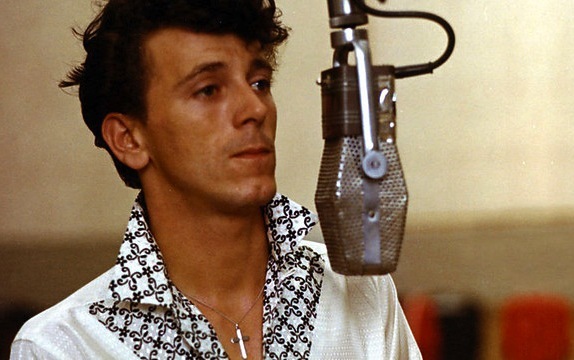 Gene Vincent joined the Navy at the age of seventeen and served as a crewman during the Korean War. He expected to make the Navy a career but a motorcycle accident shattered his leg and put paid to that plan — so he formed a band instead. Then he recorded a Top 10 hit. Easy. The origin story of “Be-Bop-A-Lula” remains partly cloudy with a chance of BS. Vincent may or may not have written the song on his own while recuperating from his accident. He may have only written the music while a Navy acquaintance named Donald Graves wrote the words. Or Graves may have written the whole thing. Vincent’s manager, Bill “Sheriff Tex” Davis, claims he cowrote the song with Vincent after listening to “You Can Bring Pearl With The Turned-Up Nose, But Don’t Bring Lulu.” (And you can always trust an old-school music manager with a nickname like “Sheriff Tex,” right?) However it came about, Vincent and His Blue Caps made it a classic in the studio. Capitol Records—and every other record company on the planet—desperately wanted their own Elvis. 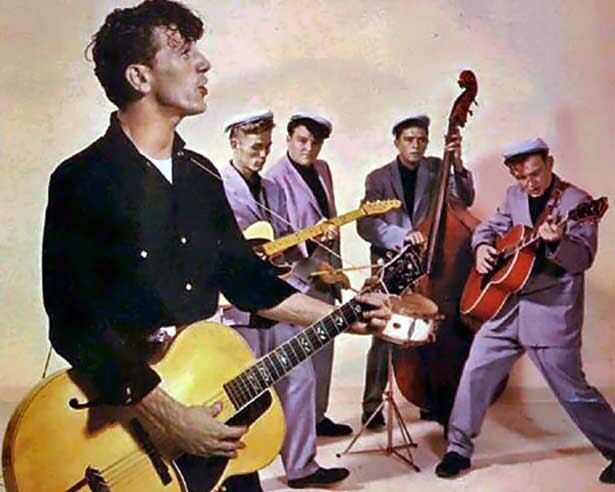 Like Presley, Gene Vincent was 21, sported a rebellious image, and played the same energetic, unbridled style of music for which all the teens flipped their wigs. At the session, The Blue Caps cooked and Vincent added his own spin with his panting, breathless vocals. Drummer Dickie Harrell—in true rock & roll fashion—tossed in some screaming exhortations which sent the song into overdrive. Producer Owen Bradley, soon to be a legend and one of the hottest producers in Nashville at the time, “Elvis-ed” up the recording with the same brand of echo found on Presley’s songs. (Bradley did such a good job that Presley’s mother supposedly thought “Be-Bop-A-Lula” was her son’s new single.) The combination of performance and production worked. “Be-Bop-A-Lula” sold 2 million copies in its first year. 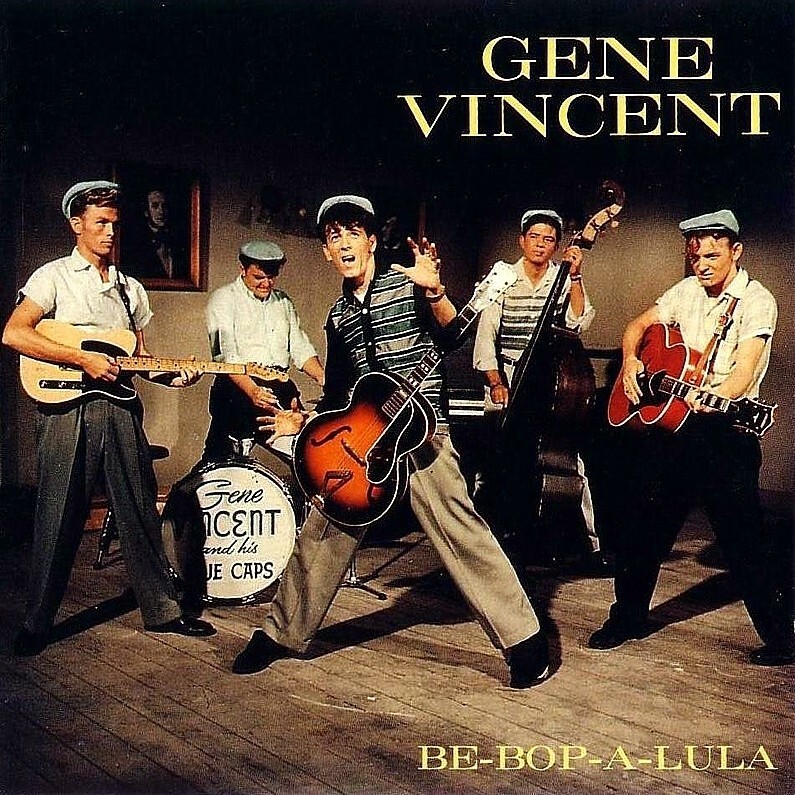 Gene Vincent had a few more minor hits in the US but was never able to catch lightning in a bottle a second time. For tax reasons, he toured exclusively in the UK and Europe in the late 50s and early 60s, so arguably his greatest contribution—aside from “Be-Bop-A-Lula,” and his brief appearance in the seminal rock & roll film The Girl Can’t Help It—is the influence his music had on the up and coming rock artists in England, especially The Beatles, but also Jimmy Page and Keith Richards.